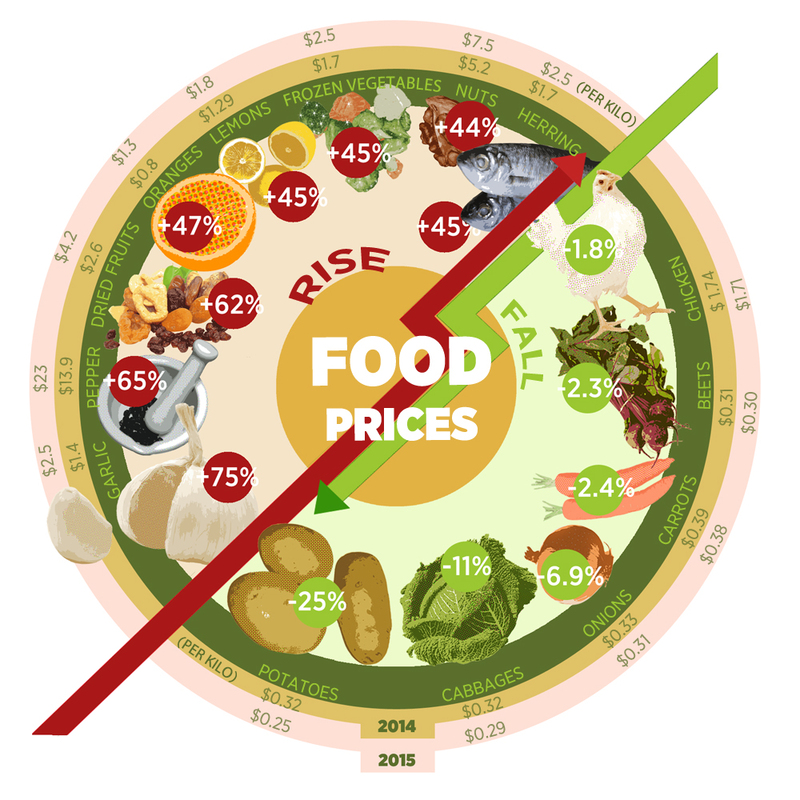 Food prices in Russia: What's up and what's down? The collapse of Russian ruble and high inflation led to dramatic rise in food prices. Russian embargo on European and Turkish food imports made the situation even worse. However, potato, carrots and onion which most Russians use in everyday meal didn't follow common pattern and surprisingly got cheaper. Experts link this phenomenon with unusually rich last year harvest in Russia. Based on the article first published in Russian by RBC. Read more: Russia's food embargo: Which imported goods have been affected?